While 25 million more Americans know about sepsis than 2015, almost three quarters (74 percent) incorrectly identified or are unsure of key symptoms. San Diego, CA (August 23, 2016) Fifty-five percent of Americans say they are aware of sepsis, an increase of an additional 25 million more adults who are now aware of sepsis compared to 2015. The results were revealed today as part of a new survey by Sepsis Alliance, the nation’s leading nonprofit patient advocacy organization promoting awareness of sepsis. Sepsis Alliance commissioned Harris Poll to conduct an online survey on their behalf among over 2,000 U.S. adults 18+ in June and July, 2016 to measure sepsis awareness. Sepsis is the body’s life-threatening response to any infection that strikes more than a million Americans each year, resulting in 258,000 deaths annually. When detected early and treated promptly, thousands of lives can be saved. The survey also found that less than one-third of Americans (28%) could correctly identify all the symptoms of sepsis. According to the survey, a third of Americans first heard of sepsis from news and entertainment, with 32 percent saying they learned of sepsis from the news/entertainment media, compared to just 12 percent who said they first heard of sepsis from a medical professional. “These results reveal the power of the media to raise awareness, which may have also been increased with this year’s news coverage of the passing of two legends, Patty Duke and Muhammad Ali,” Heymann noted. The survey results were released ahead of the start of Sepsis Awareness Month, which kicks off September 1st. On September 15th, Sepsis Alliance hosts its fifth annual Sepsis Heroes event in New York City honoring individuals and organizations which have helped raise sepsis awareness. 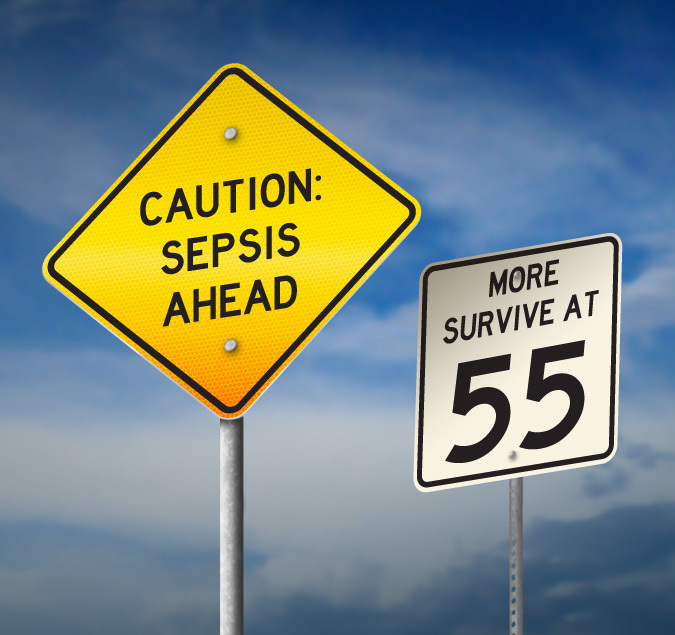 The 2016 survey was conducted online within the United States by Harris Poll on behalf of Sepsis Alliance from June and July, 2016 among over 2,000 adults ages 18 and older. The 2015 survey was conducted online within the United States by Harris Poll on behalf of Sepsis Alliance from June 18-23, 2015 among over 2,000 adults ages 18 and older. This online survey is not based on a probability sample and therefore no estimate of theoretical sampling error can be calculated. For complete survey methodology, including weighting variables, please contact info@sepsis.org. Sepsis Alliance is the leading nonprofit patient advocacy organization in North America promoting awareness of sepsis. Sepsis Alliance’s mission is to save lives by raising awareness of sepsis as a medical emergency. The organization hosts national and community events, distributes educational information, and promotes training and education of sepsis and its devastating effects. Sepsis Alliance also provides support by giving patients and family members information about sepsis and post sepsis syndrome, as well as a community forum to share their experiences. Sepsis Alliance, a 501(c)(3) charitable organization, is a GuideStar Gold Rated Charity and a founding member of the Global Sepsis Alliance. For more information, please visit www.sepsis.org. 1. Calculation based on U.S. Census Bureau’s 2010 Census, which estimates there are 234.6 million adults ages 18+ residing in the United States: In 2015 survey, 44% US adults were aware of sepsis (103M) and in 2016 55% (129M) an increase of more than 25 million.